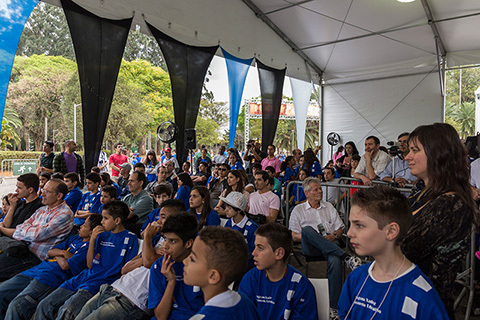 9/26/2012 – The second round of São Paulo was no less exciting than the first, with drama and action. 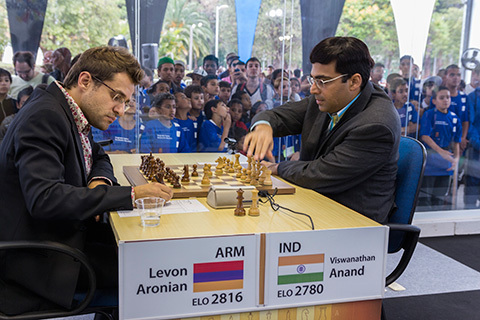 The first game to end was Anand-Aronian in a quiet draw, but this was merely the eye of the hurricane. 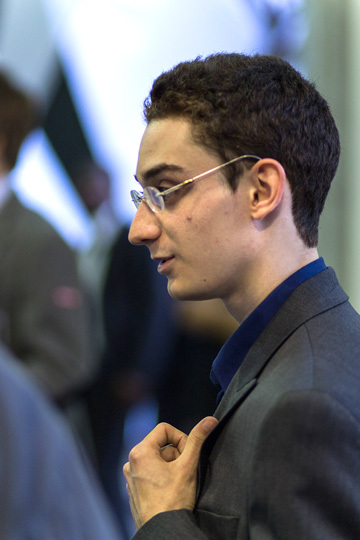 After a slip in the opening by Karjakin, Caruana sacced two exchanges to win, and took the lead, while Carlsen beat Vallejo in a study-like endgame. 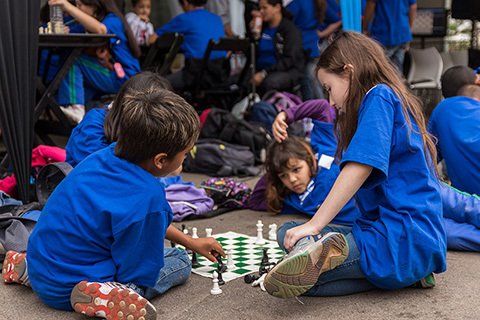 Games, pictures and report by Albert Silver. 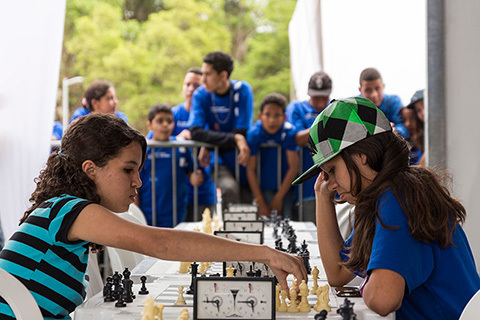 The second round of the Grand Slam Masters in São Paulo was no less exciting than the first, and the organizers included numerous activities such as tournaments for children, to maximize the efforts to use the event as a promotional tool for chess. "Hmmm.... does she think I am intimidated?" 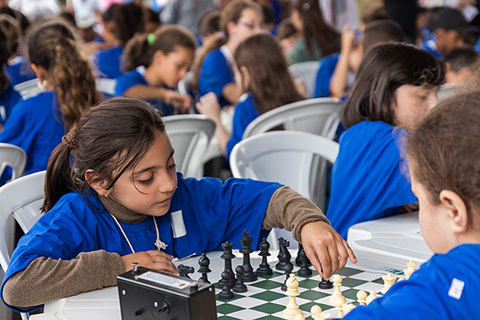 The day also marked the arrival of Susan Polgar who joined Gilberto Milos at the commentary table. 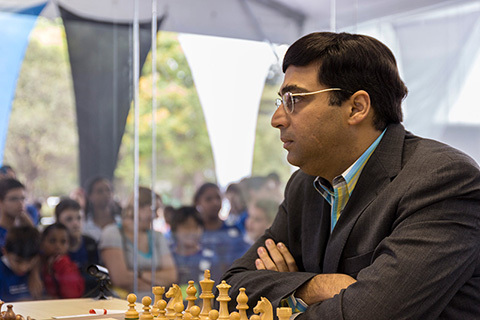 The first game to end was a fairly uneventful draw between Vishy Anand and Levon Aronian with neither allowing the other a chance to create any trouble, but soon the spectators would soon find that this was merely the eye of the hurricane. 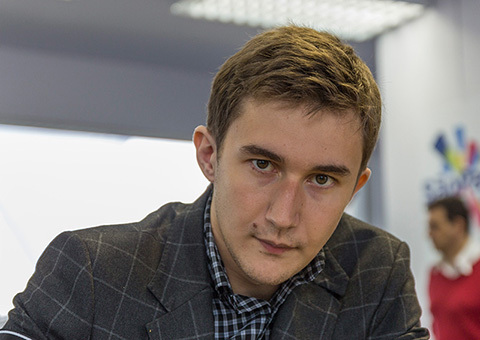 The game between Sergey Karjakin and Fabiano Caruana soon looked like a page from the Apocalypse, as the Italian took advantage of a mistake by the Russian to sneak in his bishop, and then blow his opponent’s position sky high with two successive exchange sacrifices to take it to the king. Whereas yesterday the young Italian was certainly quite lucky to walk home with the full point, this time the merit was all his as he attacked with great gusto for an attractive win. This also means that he is now the early leader with six points. 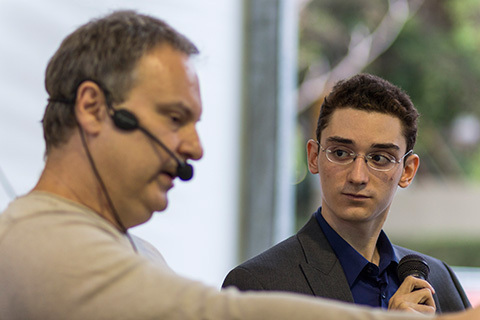 The game between Francisco Vallejo-Pons and Magnus Carlsen was another affair entirely. 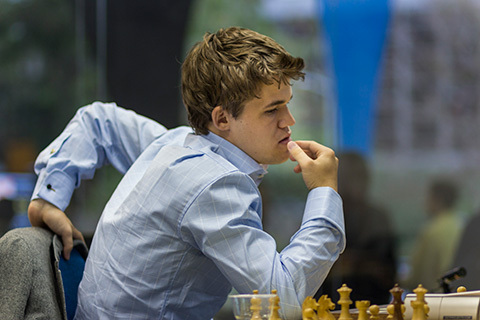 The game started quite slowly giving Carlsen exactly the kind of endgame he likes. 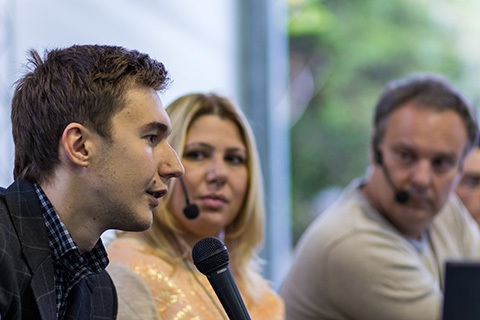 While promising, that still meant an early endgame, which is not usually the most exciting way to pursue the full point. That said, to squeeze out a win from what is objectively an equal endgame against a player in the world’s top 50 still smacks of black magic. The final winning maneuver with Bd3-Bf1-Bxg2-Bh3-Bf5 was worth an inclusion in endgame test books and future instruction manuals.